226 Commercial Real Estate and Properties in Bundaberg And Wide Bay are listed in 8 categories. We have 76 Retail Shops for Lease , 60 Offices for Lease , 57 Industrial Warehouses for Lease , 16 Commercial Farms for Lease , 11 Showrooms for Lease and 5 Other Commercial Properties for Lease . Excellent Location Corner Position Main Street Maryborough $3,250 PCM plus GST &.. Adjacent To Woolworths - Would Suit Food Operator $25,000pa plus outgoings .. Reduced in price to sell this 52.05ha (approx. 128.61acre) property is fenced on 3 sides. Excellent sandy / loam soil suitable for growing all types of produce or for stock grazing. Two dams to service the block. Large powered machinery shed with concrete floor approximately 15 x 20 x 5.m with a lockable storage area complete with shower, toilet, plumbed for a washing machine and 2 x rainwater tanks. Some machinery on offer include,146hp 2014 John Deer tractor with row guidance and auto steer, 14 Fertilizer Bin 2 x 2 row, and Scarifier. The property is located in Susan River approx. 18 kilometres from Maryborough and 23 kilometres from Hervey Bay. 298sqm Prime Commercial/light Industrial Site  Main Road Frontage $395 + GST Per week + Rat.. Exposure Plus. bull; 298Sqm building on a 890Sqm Corner location. bull; Standalone building for sale's and workshop. bull; Air Conditioned reception and office with front entry. bull; Mezzanine storage. bull; Internal lunchroom and toilets. bull; Customer parking off Morrison Street. bull; Two 3m clearance roller doors. Approximately Special rates apply for tenants relocating. Owner's are happy to work with incoming tenants if they have certain requirements and Your privacy will be respected. To inspect this property please call John Pappalardo today on 0427875396. Large allotment with great exposure to Walker Street. Very neat air conditioned offices, amenities and storage underneath plus the convenience of a 2 Bed home above. Office area: 2 Offices + Boardroom/3rd Office Accessible Bathroom and Toilet Air conditioning Large Workroom Undercover Private Carport Large Gravel Forecourt for carparking or display Residence Upstairs: Open Plan Dining and Lounge 2 Large Bedrooms, Sleepout, Office Nook Deck to the rear Computer cabling if you extend the business Call listing Agent Brant Duff to arrange an inspection. The versatile premises is available now for your new location. Situated on Very Busy Barolin Street the location is great and s is the property. 189m2 Professional Office Reception Area with Desk and Back office area 4 Large Offices or Boardroom, Split System Aircons Multi Staff back office area Accessible Toilet Multiple Storage areas, Server room, IT connected throughout 6 Car parks including handicapped spot approx. Its ready to go and ready for your inspection. Call listing agent, Brant Duff to inspect now. Attention all livestock lovers and graziers. Here is a chance to secure a beautiful 750 acres of grazing land with abundant water and grasses. The main block of 450 acres boasts an original Queenslander built from the properties timbers as well as a massive 15 x 12 metre shed with 3 metre verandah that has a modern style air conditioned townhouse built in on one end and huge workshop. Both residences are totally self sufficient and off the grid with a 9 kva generator for backup. The 2nd title is 300 acres. This property has both Myrtle Creek and Sandy Creek meandering through creating several billabongs that have never been dry. A 12 x 12 metre powered shed plus another double garage accommodates many vehicles and machinery. This property is completely out of sight from the road but easily accessible. Some of the timber on the blocks include: ironbark, hoop pine, blue and spotty gum along with many other types of hardwood. This is truly a magical property with loads of potential for the right buyer. Impossible to list all the assets and information on offer, so serious buyers are urged to arrange an inspection with Mark Nash at Sprake R/E today. Owners want it gone and are taking offers, Submit all offers: The owner would look at a trade deal plus cash. 6.44Ha or 15.9 acres plus 5261SQM road Easement lease This is an opportunity to acquire this versatile fertile acreage that was once sugar cane farming land at your price. Ideal for Aqua Cultured, Fruit trees, Small Crops and Horses. Features are: 15.9 acres + 5261Sqm road Easement Approximately 25 minutes from Bundaberg city Under 2km to the boat ramp Property fronts the Kolan river think of the mud crabs Surrounded by Irrigated cane farms Irrigation water: If required you will need to acquire Sunwaters permission to access pipe line which is running past. Power runs past If you have been watching this property you must call ASAP to arrange your inspection owner want it gone. Should you require any further information or would like to arrange a private inspection of this exclusively listed property please give the Exclusive listing Agent John Pappalardo of Ray White Bundaberg a call today. 3 Leased - 2 Available Now 3 Available from 40m2 to ..
Be part of the new shopping experience that has been created by Aldi in the Bundaberg CBD. Their newest Bundaberg store, with their new layout anchors this established centre. New Stores opening shortly 32 Available now 40m2 and 67m2 Access from Inside the centre,car park or both Currently has Aldi Supermarket, Chemist, 24 hr Gym, Pathology Nutritional Supplements Centre has over 230 parks, some under cover approx. Don't miss the opportunity to be part of this busy centre. Call the exclusive Leasing agents Brant Duff and John Pappalardo for more information and a site inspection. This great complex is available for new business start ups to have a physical office at a low cost. It also has many extras included at no additional further saving you dollars to invest in your business. Offices from 13m2 Several Training rooms available for hire, from 6 to 60 people, Hourly or by the day Easy All Day Parking adjacent 24/7 access Security patrols every night Commercially cleaned toilets shower Shared kitchen facility Access to A3 colour copier (user pays) 10% discount for training/meeting rooms Business Mentoring approx. The organisation is here to assist you. Call the listing agent Brant Duff for further information. Last one available Shop 2 134m2 $360m2 + GST. Available Many offices, Boardrooms, kitchenettes, store rooms, Disabled facilities Fully Air conditioned, Security systems Reception Areas Computer cabling through out approx. It's all here. Pick the size you need and call me for an inspection. 22 onsite car parks Call Brant Duff for more information and an inspection. Situated on busy Enterprise Street this location will make it difficult for your clients to miss. 287m2 Open Office with Amenities/shared kitchen Plenty of power points for workstations Several offices and reception Access to parking and Communal Amenities approx. A few different options exist for the new tenant so please call and discuss your needs. Call the Listing Agent Brant Duff John Pappalardo to obtain more information and to arrange an inspection. Commercially zoned 187M2 site with Maximum exposure to major arterial. Air conditioned. Owners are willing to help accommodate your business in this space. Current list of tenants: Foodworks Audio Clinic Newsagency Bakery Coffee Liquor Mart Subway Pathology Chemist Medical Centre UBET approx. Should you require any further information or would like to arrange an inspection please give the listing Agent John Pappalardo on 0427875396 or Brant Duff 0413136857. AVAILABLE NOW!!! 250m2 Shed, Air Conditioned Office Unisex 'Accessible' Toilet High clearance doors with drive through access approx. The building is vacant as at the end of March. Call listing Agents Brant Duff and John Pappalardo for further information. Lease Opportunity - Fully Council Approved '24 Hour 7 Days A Week' 140 Places Childcare Opportunity to lease Bran..
All Child Care Operators encouraged to discuss a long term lease. Situated near the CBD and very close to Bundabergs' including three hospitals, this daycare is well positioned in the sector on a main feeder road servicing Millbank, Avoca, Bundaberg West, Bundaberg CBD with a high volume of shift workers and hospital staff. bull; 140 places  approved for 24/7 care bull; 5,202m2 allotment, over 40 car parks bull; 844m2 Childcare, 171m2 Administration bull; Plus 327m Covered Outdoor Play Areas bull; 7 Activity Rooms, Sleep Rooms, Change Rooms  Its all here bull; Convenient, easy to reach location bull; Completion est. late 2017 approx. This will be one of the biggest centres in Bundaberg and the only centre that provides 24hr care. State of Art concept drawings, plans and Development Approval available upon request. With the many changes coming in the Sector now is the time to secure your new location. Call Brant Duff and John Pappalardo, or register online at Ray White Commercial for full information. High Clearance - Transport/storage Shed $5,000 pm + GST and Outgo..
Current tenant is on a month by month lease. Suitable for a multitude of uses the property has been a transport depot and maintenance/holding yard. Conveniently located in Bundaberg East the property has easy access to the CBD and the Bundaberg Ring Road. The main building has a floor area of 800m2 plus a modern mezzanine area of 89m2 consisting of Offices, Reception and Meeting rooms. Under the mezzanine is a Foreman's Office, Tea room and storeroom plus M/F amenities Adjoining the main building is a vacant area of 688 m2. This is a hard stand area with lean too. The building can be made available as soon as needed. Act quickly and make you enquiry now. Approx. This great space is at the back of the BEC (Bundaberg Enterprise Centre) Complex. Unit is accessible from a driveway entry on Quay Street. It does not have street exposure and the owners may consider different options for the space. The premises offers the new tenant many features not available elsewhere. 340 m2 currently setup as open warehouse. Close to Quay Street, easy all day parking close by; 24/7 access,Security patrols every night; Commercially cleaned toilets shower; Shared kitchen facility; Access to A3 colour copier (user pays) 10% discount for training/meeting rooms The owners are looking for a full commercial lease of 3 5 years plus Options. Call the listing Agent Brant Duff for further details. 2 Leased - 3 Available Now 3 Available from 40m2 to ..
Be part of the new shopping experience that has been created by Aldi in the Bundaberg CBD. 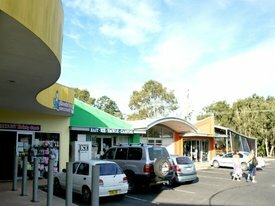 Their newest Bundaberg store, with their new layout anchors this established centre. New Stores opening shortly 3 Available now 40m2 . 67m2 and 75m2 (approx.) Access from Inside the centre,car park or both Currently has Aldi Supermarket, Chemist, 24 hr Gym, Pathology Nutritional Supplements Centre has over 230 parks, some under cover approx. Don't miss the opportunity to be part of this busy centre. Call the exclusive Leasing agents Brant Duff and John Pappalardo for more information and a site inspection. 100m2* 74m2* - Leased - More Available Call to discuss Options o..
Be part of the new shopping experience that has been created by Aldi in the Bundaberg CBD. Their newest Bundaberg store, with their new layout anchors this established centre. 146m2 site available now Access from Inside the centre or from car park Currently has Aldi Supermarket, Chemist, 24 hr Gym Previously a Hearing Clinic the fit out is versatile and could suit Doctors, Solicitors just about anything Centre has over 230 parks, some under cover approx. Don't miss the opportunity to be part of this busy centre. Call the exclusive Leasing agents Brant Duff and John Pappalardo for more information and a site inspection. This great space fronts busy Tantitha Street and is in the BEC (Bundaberg Enterprise Centre) Complex. The premises offers the new tenant many features not available elsewhere. 100 m2 currently setup with Front Office Reception, 2 Offices or Boardroom, Open Work area, Kitchenette and Storage. Close to Quay Street, easy all day parking close by; Air conditioned, minimal fit out required (dependent on use); 24/7 access,Security patrols every night; Commercially cleaned toilets shower; Shared kitchen facility; Access to A3 colour copier (user pays) 10% discount for training/meeting rooms The owners are looking for a full commercial lease of 3 5 years plus Options. Call the listing Agent Brant Duff for further details.